Specialists In Institutional Fixed Income Investing | Time Value Investments, Inc.
Time Value Investments, Inc. or "TVI", specializes in Institutional Fixed Income Investments. Securities are provided through the bond trading desk at ProEquities Inc, (www.proequities.com) a wholly owned subsidiary of Protective Life Insurance Corporation. Securities transactions are cleared through Pershing LLC, a subsidiary of the Bank of New York Mellon Corporation (www.pershing.com). 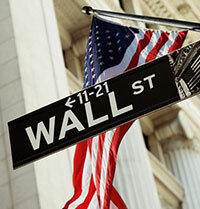 Time Value Investments has direct, unfettered access to the major Wall Street bond inventories. This means the firm is under no pressure to "push" any one dealer's inventory. TVI clients appreciate this independent, unbiased approach. The highest priority of TVI's staff is to find the best bond values for their clients. "Bonds Are Time Value Investments."